Like with any illness, there are things you can do to help lessen your chances of cancer ‘visiting’ you. Now it is true many of us have it in our family and have a predisposition to it (we are taught), but is this really true? We used to think that we could not change our genes, but the study of epigenetics says differently. Believe me, trying to explain this in an article is nearly impossible as it is pretty complex, but do your own research. Epigenetics does say, certain circumstances in life can cause genes to be silenced, or expressed over time. In other words, they can be turned-off (becoming dormant) or turned-on (becoming active). Be curious and open to the fact that it may be possible to change your genes. Another factor we could look at is the environment that cancer thrives in. Otto Warburg was the man who discovered the cause of cancer, he was awarded the Nobel Prize in 1931 for his work. He discovered the CAUSE. What does that mean? If there is a cause there must be a solution, right? His work came to be known as the “Warburg Effect” or the “Warburg Hypothesis” which basically says, that cancer cells live off sugar (glycolysis) and that cancer cells also thrive in an anaerobic environment. He made it clear that the root cause of cancer is oxygen deficiency, which creates an acidic state in the human body. 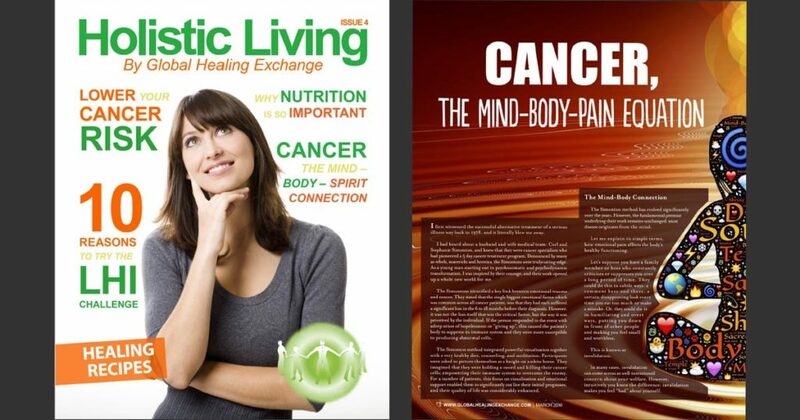 His belief was that cancer itself cannot exist in an alkaline environment. Again what conclusion could you draw from this? Foods and drinks that are alkaline are beneficial for helping to remove (or stave away) cancer from the human body. So if you have cancer, or believe that you are highly likely to get it, wouldn’t it be sensible to change your eating habits to add more alkaline foods? We all know our attitude, mindset and emotions have a role to play in disease as well. Many studies show that our thoughts effect our cells, which in turn effect our health. According to Louise Hay, causes of symptoms is a good place to start if you are looking for healing. Illness however mild or severe is an indicator of your emotional state, caused by your thoughts and focus. Deep hurt. Longstanding resentment. Deep secret or grief eating away at the self. Carrying hatreds. In traditional medicine our options are few. We know that chemotherapy kills cancer cells but we also know that it also kills healthy cells and lowers our immune system, so is this a good solution? Whatever treatment you choose is completely up to you, whether you try holistic medicine, traditional medicine or a mix of both. I believe knowledge is power and our intention with this magazine is to give you options that you can research yourself and find the information you need on a deeper level. We are all different and not one way of healing will suit everybody.